In cooperation with the Mahoosuc Inn, the Source to Sea is offering an introduction to white water. 8:30AM Meet at the Mahoosuc Inn on Rt. 16 just north of the center of Milan. 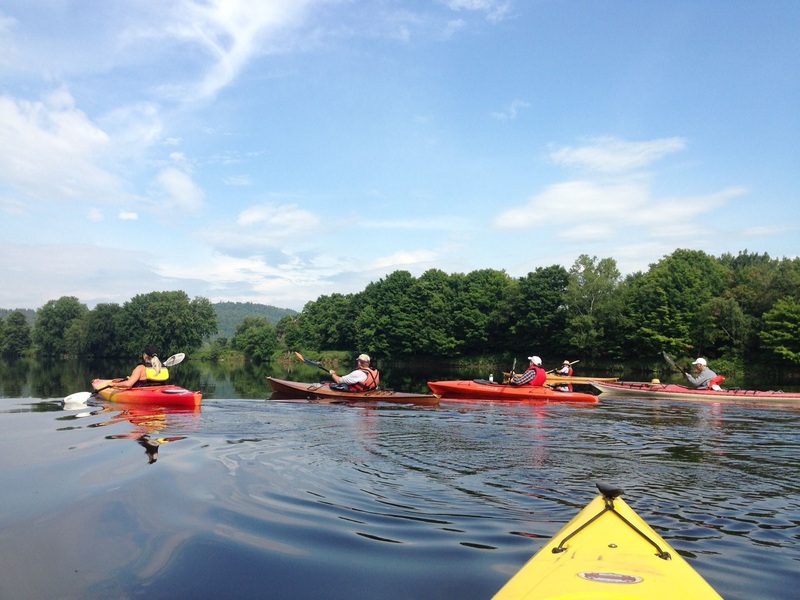 This will be an intro to white water paddling with registered guide Mark Peabody. This is an excellent opportunity to learn how to read the river, paddling strokes and enjoy rapids. Experienced paddlers, feel free to join in the fun. This is a beautiful stretch of the Androscoggin with fun rapids to keep you on your toes or paddles as the case may be. Water usually moves fast on most of this section depending on the river level. Should be able to complete paddling in about 2.5-3 hours. There are several sections of class I-II+ rapids on this stretch of river, depending on water levels. After paddling the Mahoosuc Inn will serve a meal. You can sign up, choose your entre and pay $10.00 directly to the Mahoosuc Inn for the meal when we meet at the Inn in the morning. This section is part of the Northern Forest Canoe Trail, and a detailed description of it is available in their guidebook. Presenter: Mark Peabody on white water paddling.